Tim Lovejoy quipped that “the real me is at home” as he hosted Sunday Brunch following Lorraine Kelly’s tax tribunal ruling. Lorraine Kelly has said that she has not had any surgery, and that she looks “fine” as she approaches 60. 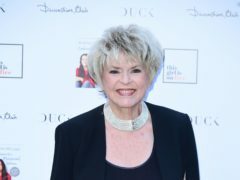 Gloria Hunniford believes it is right that gender pay disparities are investigated. Carol Vorderman has said she is living her dream by partying hard and getting up to “lots of mischief”. A fund for a sick Tayside youngster is being boosted thanks to the generosity of TV personality Lorraine Kelly. 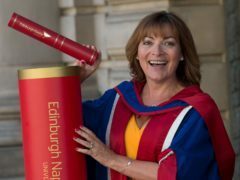 Lorraine Kelly has said today’s young generation are being relied upon to “change things and make things better”. Scottish presenter Lorraine Kelly has said she will support Iceland in the World Cup as she sidestepped questions from Piers Morgan about her support for England. 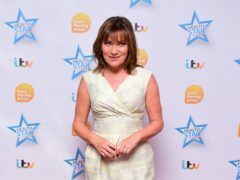 Lorraine Kelly has been announced as one of the judges for this year’s Kindle Storyteller Award. Actor Darren Criss has said playing the part of serial killer Andrew Cunanan in The Assassination Of Gianni Versace is what he has worked for for his entire life. Morning TV star Lorraine Kelly has sold her Dundee home for £845,000 after moving to the south of England to be nearer work. Lorraine Kelly has been announced as the face of a new crowdfunding campaign promoting tourism in Dundee. Lorraine Kelly has recalled the horrific moment that she was left breathless on a British Airways flight. Lorraine Kelly's huge Dundee home has been put under offer.